The same year she published The Spiral Dance, Starhawk founded Reclaiming tradition of witchcraft in San Francisco. Reclaiming became one of the most influential traditions within Neo-Paganism. Starhawk’s name is synonymous with action. She has consistently advanced a vision of Neo-Paganism as practical and of spirituality as political. She has led protests seeking peace and justice for the environment and for women and sees these as an expression of her spirituality. In addition to The Spiral Dance, Starhawk is the author of Dreaming the Dark (1982) and Truth or Dare (1988), both of which bridge Neo-Paganism and political action. Neo-Pagans can be sometimes be prone to narcissism, so Starhawk’s practicality is a needed corrective. 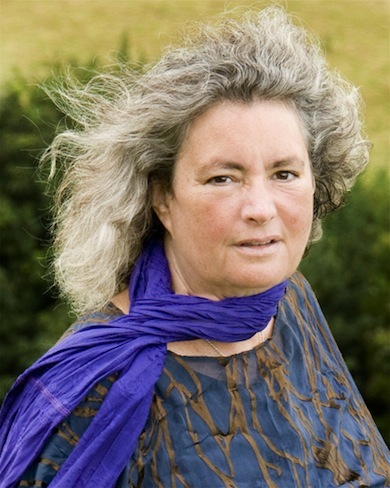 Starhawk’s activist spirit and poetic style earns her the place as one of the “mothers” of contemporary Neo-Paganism. Below is a video celebrating Reclaiming’s annual Spiral Dance ritual, narrated by Starhawk.